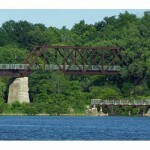 Enjoy breathtaking views from a 166-metre long bridge in the beautiful town of Waterford. 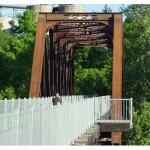 Visit the Black Bridge via trails from Delhi, Port Dover, Simcoe and Brantford. Along the way there will be lots to see from fields of tobacco, ginseng, potatoes and other crops. In adjoining woods and ponds, there is the possibility of spotting an eagle, beaver, turtle, deer, wild turkey, fox or coyote. Come spring wildflower viewing is spectacular. 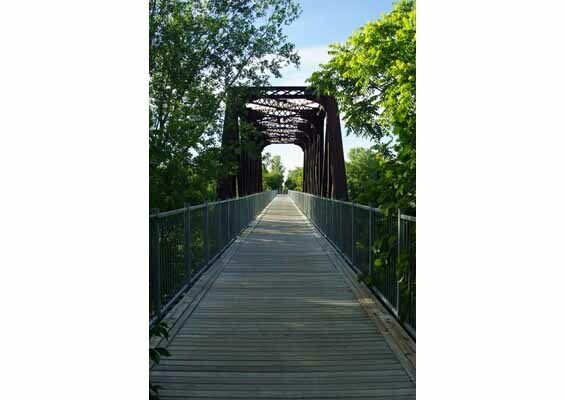 The Black Bridge – a main attraction for the trail – boasts a fully decked surface, guard rails and three overlooks. 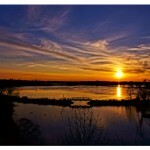 These viewing platforms offer a prime location to snap photos of some of the most stunning views in Norfolk. 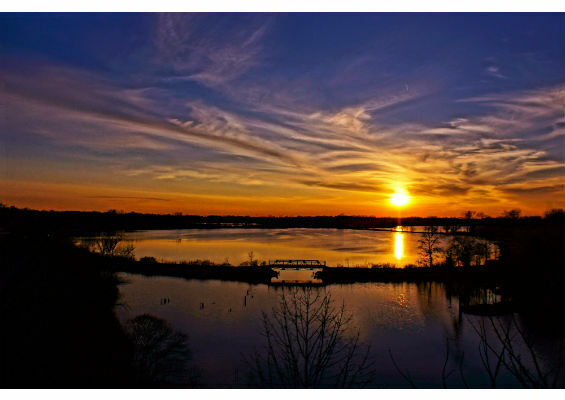 The view to the east consists of picture-perfect scenes of the town of Waterford. 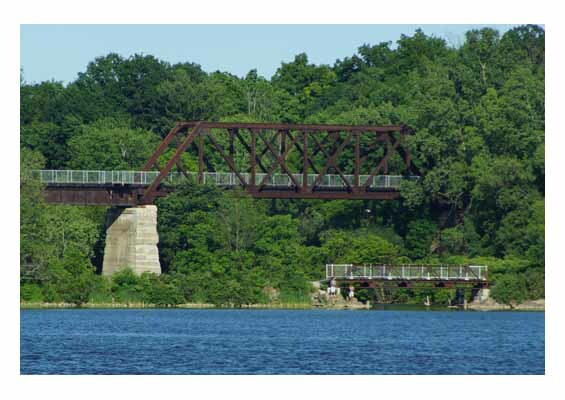 The vista to the west provides a spectacular view of the Waterford Ponds and the charming tiny pony truss bridge known as the Miedema Bridge. 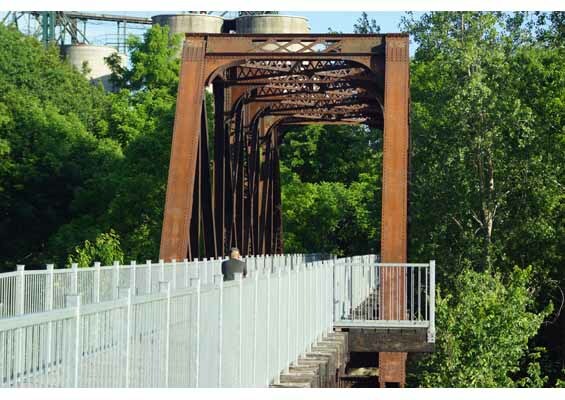 In 2012, this bridge became one of the first heritage bridges in Ontario to be relocated and reused on a pedestrian trail. 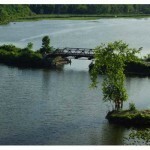 In the spring and summer you will spot people fishing along the water’s edge. 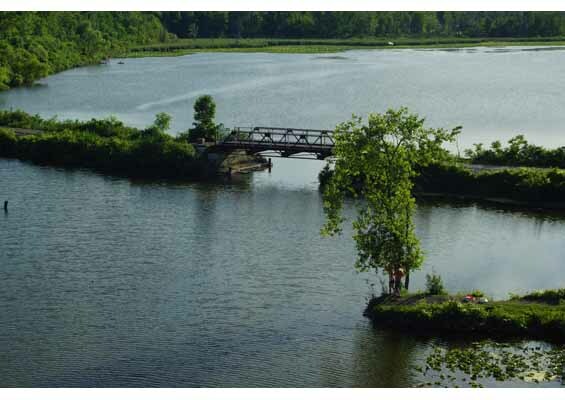 The ponds are home to an array of fish species including largemouth bass, northern pike and a variety of panfish. Park at the west end of Nichol St. behind the old Co-op silos. 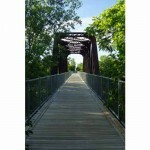 The trail is paved here allowing strollers, wheelchairs, bikers, walkers and runners to enjoy this gorgeous trail.